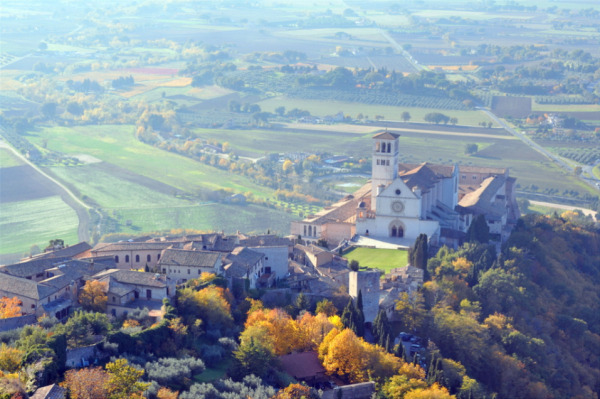 Umbria offers one of the best culinary Tours of Italy. This week-long vacation in the heart of Italy is all about unique experiences: you'll stay in the heart of an Italian town and live among the towns people. You will have access to experiences most travelers don’t have. We’ll introduce you to local artisans who share their life experience with you. We’ll hunt truffles with a real truffle hunter, and we’ll even visit his parent’s farm, where they make fresh Ricotta cheese. We’ll cook and have a wine tasting in winery, and have an unforgettable day trips to stunning towns. Your home for the week is a privately owned 15 century palazzo that has been beautifully restored. It has beautiful Italian gardens and stunning views you can enjoy with your breakfast. Each room, with its unique architecture, color, and décor is reminiscent of a noble’s room of the past.